Many residential consumers are currently unaware of one of the easiest ways to reduce their cost of living. Some residential consumers spend hours researching different smartphone data plans and cable services to save only a few dollars a month. By understanding what utility tariffs are and which ones are available, residents can unlock a new way to save more money in less time. A utility tariff is a pricing structure that an energy provider charges a customer for energy usage. In other words, it is a set schedule of fees often expressed in dollars per kilowatt-hour (kwh) determined by the utility company in conjunction with local government regulation. Typically, tariffs consist of two parts: a fixed charge for the supply of energy to a location and the variable charge based on actual energy consumption. Consumers should choose a tariff that best matches their behanviors, lifestyle, and preferences. 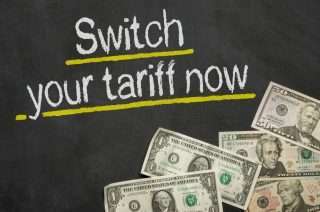 Some tariffs provide a flat rate, meaning the price of electricity is constant throughout the day, while others incorporate time of day and season into their configurations. Combinations of rate types may also be available. Below are some of the most common tariffs offered to residents by their utility provider. 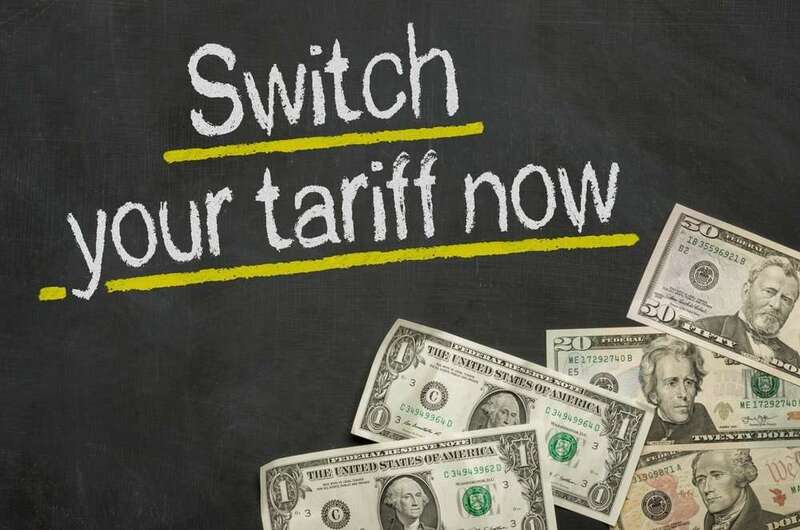 This tariff is a simple rate plan that is comprised of a base charge and a consistent price per kilowatt-hour regardless of the time of day or day of the year. It is typically best for those who want to lock into one price and need to use energy in the middle of the day from Monday to Friday. Some utilities offer a tariff that levels out monthly payments by calculating a consumer’s overage bill over a 12-month period and charging this amount each month. This option helps reduce fluctuations in monthly payments that may result from variations in weather. The time-of-use rate is based on the amount of energy used during specific times of the day or year. For instance, during on-peak hours, when energy demand is high and the utility grid is at or near capacity, the price of electricity may be 25 cents per kwh, whereas during off-peak hours, the price may only be 6 cents per kwh. Some rates may also or only differentiate by on and off peak seasons. A tiered rate is one that charges a baseline price for the first stated quantity of electricity with pricing that progressively increases as the consumer hits the second, third or fourth tiers. Owners of electric vehicles may be able to enroll in a rate plan that allows them to charge their cars at night at a significantly lower price. This tariff applies to those generating on-site renewable energy and is based on the amount of energy customers can inject back into the grid. In this case, the utility provider pays the customers in alignment with how much energy they produce, the size of their systems, and the type of technology in place. A plethora of factors plays into the different types of tariffs a utility offers and the specific prices associated with those tariffs. One component includes the utility’s cost of operating and maintaining its facilities. Generally, the more the utility must pay to supply energy, the more it will charge its customers, unless it receives government subsidies. The price of raw materials and type of electricity generation (e.g. coal, gas, oil, nuclear, wind, solar) can drive utility costs up or down as well. Seasonal shifts in temperature also impact rate structures. In climates with a larger range of temperatures, consumer demand for heating and cooling is likely higher, which can drive up energy prices. However, some utilities actually decrease prices during the peak demand season to avoid inflicting extra financial burdens on their customers. LOcal governments can distort competitive market pricing by dictating what prices a utility can charge. Sometimes, governments will give subsidies to utilities that provide energy to sparsely populated areas to make it economically viable. Additionally, governments can assign markets as either regulated or unregulated, affecting a utility company’s ability to price its own energy. Switching to the optimal tariff can save a consumer hundreds of dollars a year. In order to choose the right tariff, a consumer must consider his sensitivity to price fluctuation and unpredictability, his current energy consumption behavior, and his willingness to shift energy usage to different times. Customers who pay close attention to what appliances are running when should likely pick a different tariff than customers who are mainly concerned with seeing consistency in their billing. Many utility companies have rate calculators on their websites that ask questions to help customers identify their best rate options. Customers can request a different tariff either by filling out a form online on their utility’s website, which may involve a wait period and electronic signature, or by calling their utility provider directly. No cost is typically attached to a tariff change. The utility often requires its customers to agree to a one or two-year contract with the new rate structure. Saving money on utility bills does not always stem from using less energy. By tracking energy consumption and understanding the breadth of tariffs that are available, residential consumers can easily reduce monthly spending without the hassle of switching providers.